There are many sources of drinking water, and you can get water from the surface or from the ground. Surface water includes water from the lakes, rivers, and streams while ground water comes from underneath the ground such as a well. In the rural area, water wells are very commonplace. A lot of people prefer to have their own source, rather than rely on municipal water sources. Well water is considered safe to drink, especially if the ground has been dug very deep. However, habitual water testing is still recommended. This way, you can be confident that your drinking water comes from a reliable source. When you conduct some testing, any problems that may come up will be addressed right away because you have a basis of comparison. Water is essential for human beings and animals. Thus, it is important that the water you drink is safe and potable. If you test your well water regularly, you would be able to discover problems, if any and you would also be able to track changes over time. The use of water well testing kits can help you determine if there are bacteria, chlorine, and other elements in the water. Essentially, water testing is a more of safety precaution. You and your family are making use of the private well daily so it is only important that your water will not pose any danger to you and your loved ones. 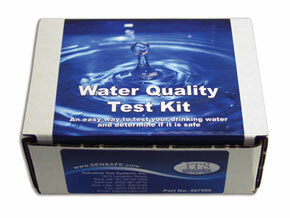 Testing also allows you to check on the effectiveness of your home water treatment system. If you own a private well, you should test your water annually. Additionally, changes in the water could occur over time, especially during heavy rains or typhoons so you could also conduct a test after such occurrences. Regular testing will assure you that your drinking water will not cause damage to your health. It is also vital that you test the water when there is an infant in your home since infants are very fragile and are prone to illnesses. And lastly, if you notice that a member of your household is suffering from recurring gastrointestinal problems, it is also a good time to test. Coliform Bacteria, which could potentially harm people’s health. Nitrates, which are one of the common contaminants found in water. Too high nitrate concentration is harmful especially to babies below six months. Ions like iron, sodium and manganese. These things lend a bad taste and smell to the water. Sulfate, which when present in excess amounts can cause gastrointestinal irritation and laxative effects. Fluoride, a micronutrient which when taken in excess can cause dental problems. Total dissolved solids (chlorine), which affect water’s palatability. The results of well water testing should be compared with EPA-recommended levels.